Inscriptions in many parts of Sri Lanka state that caves have been donated by the laity to the ‘Sangha of the four quarters of the world, past, present and yet to come'. 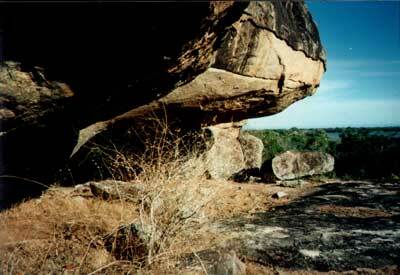 At one time the Arya Sangha occupied caves in many parts of Sri Lanka. I remember when Islamic Bawas were keeping the flame lit, occupying caves in Jailani or Kuragala. Inscriptions in many parts of Sri Lanka state that caves have been donated by the laity to the ‘Sangha of the four quarters of the world, past, present and yet to come'. The 'Sangha' referred to was not just the Theravada Bhikku Sangha. Knowledge and wisdom defined the Arya Sangha and enlightened seers did not need robes to set them apart. Culture was apparent everywhere around them. Labels, exclusivity and religion were not in their vocabulary. The Buddha himself was a Maha Siddha in this tradition. Some consider this southern revelation also as Dakshinamurthy which means southern form. There were once several siddhasthanas in Sri Lanka. 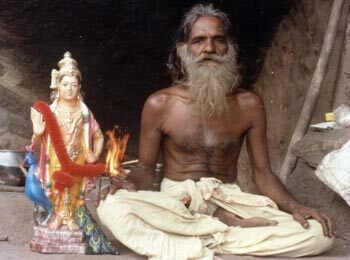 Since siddhas chose anonymity these siddhasthanas were originally in dense forests. Swami Gauribala, who knew Sri Lanka better than anybody I have met so far, took me to a few of these siddhasthanas in various parts of the island. The oral legend was that there were three circles around every siddha. The outer periphery was the Kaela Miniya or the Forest Dweller also called Vedda. This man dealt with the villagers bordering the forest and traded honey and dried meat. He alone had access to the next circle which was normally composed of disciples of the siddha. They grew plants of use and were guardians of the labyrinth that protected the centre from strangers. Beyond the labyrinth there was always an ascent. The horizontal turned into the vertical. Here there was silence and nobody. If fortune permitted it would lead to the siddha who was the embodiment of solitude. The Dhamma revealed itself in silence. Speechlessly spoken wisdom with show of hand (mudra) led to a silence that contained it all. This is how the oral tradition describes this transmission.